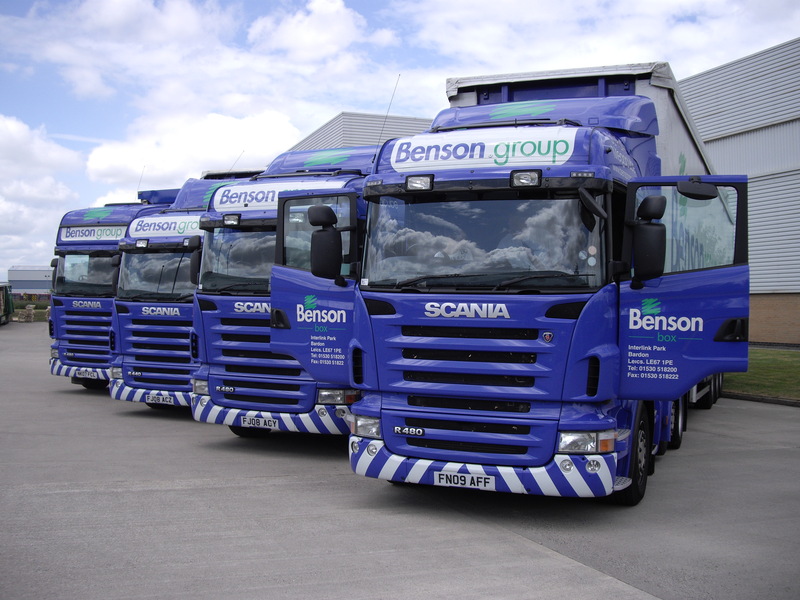 Successful fuel performance trials have led to the addition of three 480 horsepower Scania R480 LA6x2/4MNA twinsteer tractor units with Scania EGR Euro 5 engines to the fleet of Bardon, Leicestershire-based Benson Group member company, Benson Box Limited. Supplied by Keltruck, Scania’s dealer for the Midlands, the new vehicles join seven Scania vehicles already in service with Benson Group. 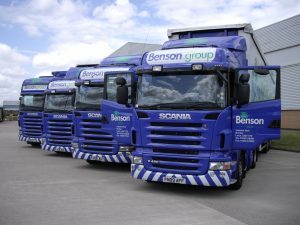 The fuel trials were conducted over a 12-month period with two vehicles operating within the Benson Group transport fleet on national distribution as far afield as Aberdeenshire in the north and Cornwall in the south west. 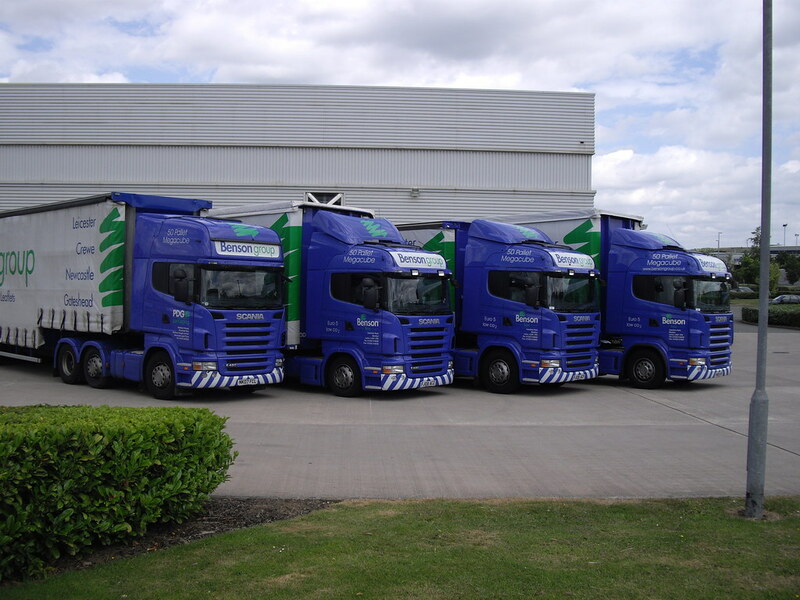 Throughout the trial period the vehicles were coupled to double-deck 50-pallet trailers and operated at their maximum weight of 44-tonnes GTW. Benson Group reports an average of 9.3 miles per gallon was returned by one vehicle, with the second delivering 9 miles per gallon. This performance convinced Benson Box Limited to further invest in Scania Euro 5 technology and a third 480 horsepower truck, this one a 4×2 tractor unit, has now entered service with its fleet. Founded by Andrew Benson’s grandfather, William Watson Benson, Benson Box Limited was established almost 90 years ago. 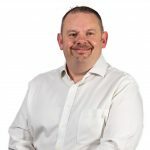 The company is today based on Interlink Park, Bardon, Leicestershire in a purpose-built production facility representing an investment of more than £20m. The firm is primarily involved in the production of finished coloured carton packaging for the food industry.